Kill la Kill is an original TV anime which later got a manga adaptation by Kazuki Nakashima (story) and Ryo Akizuki (art). Netflix has revealed its big plans on streaming and producing anime some time ago. Which they did by introducing a big list of anime to the subscribers. However, today the company announced that the show, Kill la Kill, will be leaving the service next month. Thoroughly beaten in a fight against one of the students in uniform, Ryuuko retreats to her razed home where she stumbles across Senketsu, a rare and sentient “Kamui,” or God Clothes. After coming into contact with Ryuuko’s blood, Senketsu awakens, latching onto her and providing her with immense power. 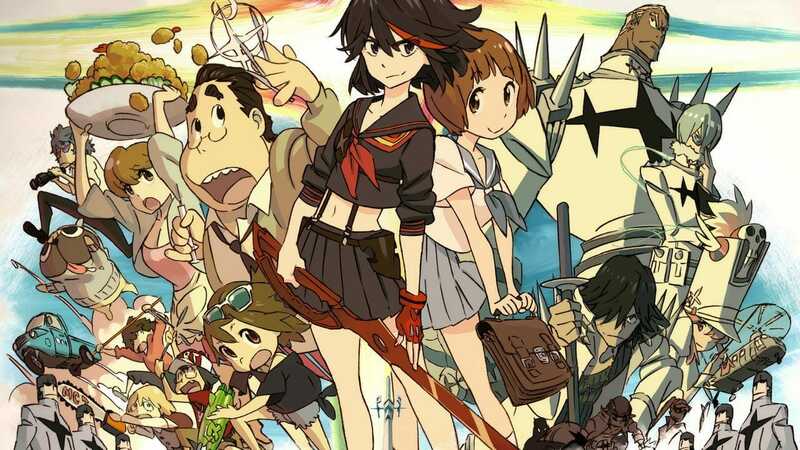 Now, armed with Senketsu and the Scissor Blade, Ryuuko makes a stand against the Elite Four, hoping to reach Satsuki and uncover the culprit behind her father’s murder once and for all. The show might feel a little sluggish, plain and average at first but it just keeps getting better and it has the potential to become anyone’s favorite show of all time as the person finishes last arc and episode. Which happened to me. The show packs with fanservice, solid style, and weird yet fun animation style. Every episode feels like it is the last episode. Netflix users should say goodbye to the show as it is leaving it next month, May 2019. The school year’s almost over and Kill la Kill leaves @Netflix next month. Maybe throw on your uniform one more time before summer vacation? Besides this, if you might have read, Kill la Kill the Game: IF was announced a few months ago. Are you looking forward to the game? What was your favorite moment of Kill la Kill, let us know in the comments down below.